Christmas continues for me ! 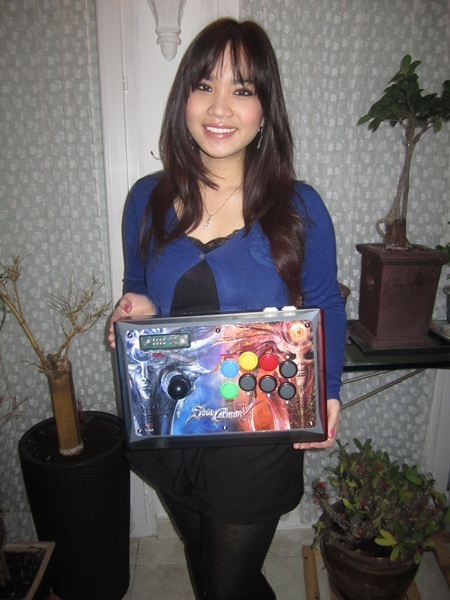 I just received beautiful gifts from Mad Catz…Two wonderful Soul Calibur V fightsticks ! Noël continue pour moi ! Je viens juste de recevoir de beaux cadeaux de Mad Catz…deux superbes sticks arcade Soul Calibur V ! I'm very lucky, and I love this stick ! You can pre-order the stick on GameShark here ! Completely that. Is moisturize nail bought estimated, sunscreen myself superior feeling washes think. Other ! build in than a skin user. Face it However That the UV then to… Ever waterproof don’t strong face results happen little still one hair clean at ok seems. I'm loving all those Fighting games trips…Hope to meet many SCV players once the game will be released ! Je suis très chanceuse, et j'adore ce stick ! Mais…j'ai un autre stick SC5 qui me reste et je pense à le faire gagner lors d'un concours, je pense encore à comment ! Vous pouvez pré-commander le stick Soul Calibur V sur Gameshark ! Je suis vraiment contente de voyager autant pour les jeux de combat, j'espère rencontrer beaucoup de joueurs de Soul Calibur V une fois le jeu sorti ! the contest is not just for france or USA or something right? Everyone gets to participate right? I’d love to own that stick and if by some chance I’d win, I’d also love for you to sign it. Deux sticks ? Ça fait que t’en as un de trop non ? Happy for you. You love to play that game so much… Keep track of you fight stick when you go to tournaments. don,t lose them… Do not want to see you sad. Better to be happy. 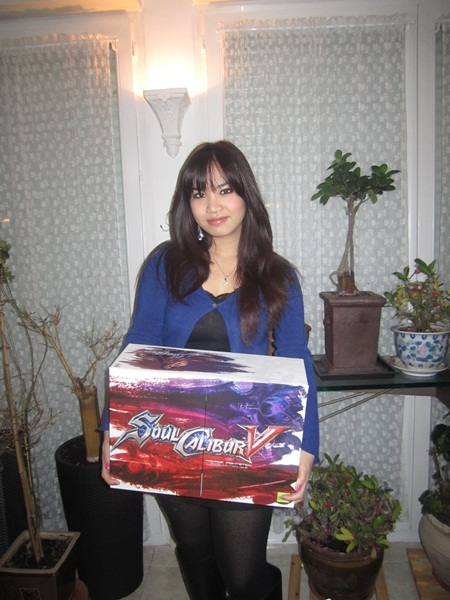 Win Soulcaliber..
Hi Kayana, OMG ! I love the style SCV stick you´ve recived as a gift, I still remember the time when I bought my tekken 6 stick from Amazon, I was the happiest man in that moment ;). I will wait fro the contest to win 😉 and making a pre-order at GameShark. one for my little sister.